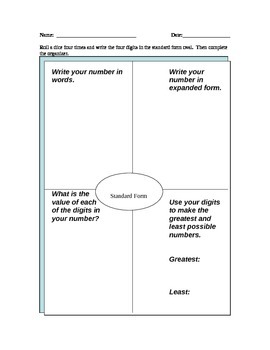 This is a game where students roll a die to create a standard form number. Then they write that number in word form and expanded form. Then students tell the value of each digit and create the greatest and least number with the digits. 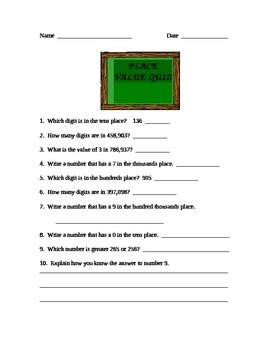 I have also included a place value quiz with answer key.